Poor quality of sleep is equally problematic as joint pain and limited mobility for many people suffering from arthritis. Sleep disruption appears to be an overlooked consequence of arthritis for many people. People suffering from arthritis need to give more attention to the often dismissed symptom of disrupted sleep, according to results from a national study. Most people, if asked to list the symptoms of arthritis, would include pain, stiffness, discomfort, and limited mobility in their response. Countless articles, reports, and studies have focused on arthritis symptoms, arthritis treatments, and coping with arthritis. Fatigue also is recognized as a symptom of many types of arthritis, in the sense of being "worn out" or "lacking energy." Often overlooked, though, is the impact of arthritis on sleep. Researchers from the University of North Carolina at Chapel Hill surveyed 937 Medicare recipients, 65 years old or older. In the national study, participants were asked questions about how they sought relief from arthritis and how arthritis affected them. Various disruptions to daily living caused by arthritis were cited by the study participants. Study results were reported in the February 2000 issue of the Archives of Family Medicine. About one-third of the study participants reported a correlation between arthritis and sleep loss. The problem is likely even greater but goes unreported by many people who think sleeping problems are not abnormal or that nothing can be done to resolve the problems. More than for any other reported disruptions, study patients who did recognize sleep loss as a problem also tried to find a remedy. Study participants looked to relieve their sleeping problems through traditional treatments, natural remedies, and self-care measures. Insomnia is difficulty getting to sleep or staying asleep, or having nonrefreshing sleep. 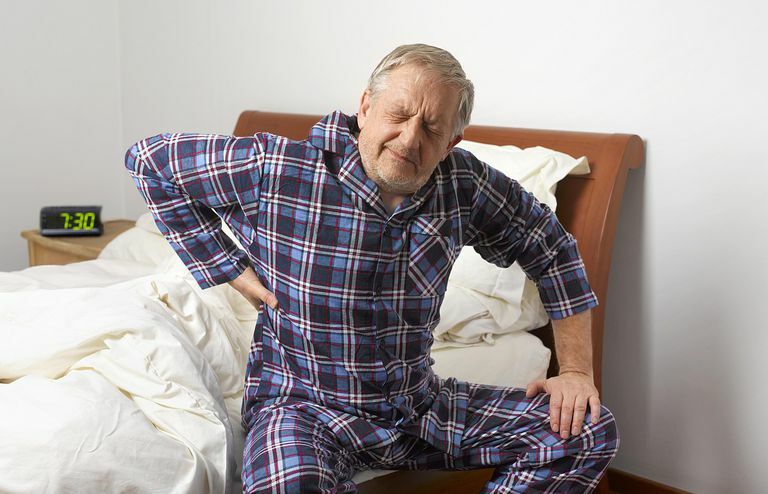 "Dr. Bones", a retired rheumatologist, commenting on arthritis and insomnia said, "The insomnia associated with arthritis may be due to chronic pain, arthritis-related stress, or one of the many medications required for disease control. In addition, many arthritics are fatigued at bedtime but not physically tired. This is due to reduced physical activity because of joint immobility. Coping with insomnia requires complex treatment including physical reconditioning". Many useful tips and non-drug treatments exist for the treatment of sleeping problems. Melatonin - Melatonin is a natural hormone produced by the pineal gland. Melatonin products are usually synthetic versions of the natural hormone. Melatonin is used as a sleep aid to help relieve insomnia. Valerian Root - Valerian herbal products are made from the roots or stems of the valerian plant. Dried roots are often prepared as teas, or put into capsules or tablets. Valerian is used as a sleep aid to help insomnia and other sleeping problems. NCPTSD Fact Sheet, Pamela Swales, Ph.D.